Tony Blackburn had his say in The Mail Online about the offshore era and the boat that rocked, or rather the station that rocked the nation. The article is called: "Adventures of a poptastic pirate: The radio ship which gave us Tony Blackburn, the world's cheesiest DJ". 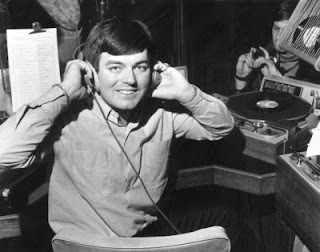 Tony Blackburn (b. 29 January 1943) is an award winning English dj, who broadcast on the offshore stations Radio Caroline and Radio London in the 1960s and was the first presenter to be heard on BBC Radio 1 in 1967.